Growing up Burt Lancaster represented for me the values of Old Hollywood royalty, an impression formed after I first saw childhood favourites such as Tough Guys and Trapeze. Here was an actor with all the physical traits of a American celebrity – bronzed, bright blue eyes,with an athletic build and a ready smile – with an evident intelligence and grace in his manner. I knew very little about him, but I had inherited a sort of awe for the man from my parents. As it turns out, Kate Buford’s biography describes how he was a producer of independent film Marty starring Ernest Borgnine. That was a movie my dad would often talk about, so I feel an even greater affection for the actor/producer than I did before. Of Scotch-Irish stock, with his grandfather traveling to the States from Ulster, Lancaster was born in New York’s East Harlem. As such he grew up with Jewish and Italian-American children of immigrants. The values and cultural influences of that early time would stay with him for the rest of his life. 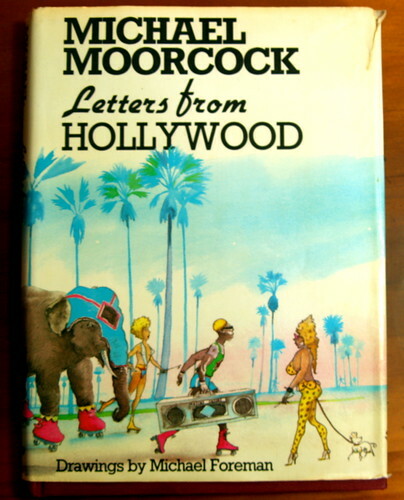 I was confused at first as to why Buford mentioned his film with Viconti, The Leopard, so regularly in the early passages of this book, until she reveals that his performance in that film was the culmination of that childhood heritage. The film casts a New York Mick as an Italian aristocrat without any hints of an imbalance. It was the role Lancaster was born to play. The other great influence on the actor’s career was his entering into the life of a circus acrobat, along with his long-time friend Nick Cuccia. There he discovered a talent for the trapeze and a discipline that would stand him in good stead for the rest of his career. The young, bookish boy with a slight frame had grown into a tall, muscular performer, with a domineering voice that could bellow from the centre of a stage just as well as ply his audience with a coaxing Irish charm. Lancaster’s discovery and rapid elevation into the craft of acting, following his return from America’s World War II campaign in Italy, was notable not only for the speed of his ascent, but his desire to control his newfound career. From early on, the ambitious autodidact paid close attention to every aspect of business on film sets, quickly developing his own opinions on how things should be done, before forming a partnership Harold Hecht to produce films, with Hecht-Lancaster becoming a mini-studio in their own right, winning Oscars for films such as Marty. Lancaster’s ability to capitalize on his celebrity by making a studio picture to pay off bills before jumping at another personally chosen independent project set the tone for indie cinema auteurs in the future, such as John Cassavetes or Steven Soderbergh. With fame came of course inevitable temptations. In this regard Burt Lancaster was no trail-blazer, his wife Norma raising an ever increasing family of children while he philandered with co-stars. His decent family man image and fame was also at risk due to his association with suspected communists and radicals during the HUAC Senate hearings. Lancaster, Buford notes, was no communist, but carried with him the values of loyalty to friends that he had learned in New York’s East Side. The despised liberalism of his associations was more evidence of survival traits he had learned growing up. What is remarkable about Lancaster’s career is the way in which he weathered such controversies, including chinese whispers about his own sexuality, to sustain a very successful film career. Until ill-health robbed him of the ability to do so, he continued to appear in films well into his old age, include well-known hits such as Local Hero and Field of Dreams. Despite his much-feared explosive temper, he was also noted to be quite humble in taking credit for the advantages of his fame, unlike his self-proclaimed ‘buddy’, Kirk Douglas. Lancaster’s involvement in political fundraising went mostly unremarked upon, with the exception of prominent AIDS awareness ads in the 80s. Buford’s book is a fitting celebration of a remarkable period in Hollywood history. Recommended for the eager cineastes out there. The complete stillness was more startling than any violent action. The body looked altogether smaller than life-size now that it was, as it were, stripped of the thick pelt of mobility and intelligence. And the face which inclined its blind eyes towards him – the face was entirely horrible; as ageless as a tortoise and as inhuman; a painted and smirking obscene travesty by comparison with which the devil-mask Dennis had found in the noose was a festive adornment, a thing an uncle might don at a Christmas party. 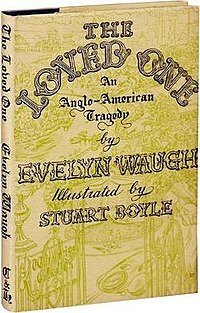 Evelyn Waugh is a writer I can return to again and again. I think Vile Bodies was the first of his books that I read as a teenager, which was something of a revelation. It was the louche pessimism of his writing that impressed me, equal parts self-aware and flavoured with schadenfreude, combined with a rapier-like wit. It would seem the man himself was a thoroughly unpleasant character – if you are interested in reading about Waugh’s life I would recommend Selina Hastings’ biography – but I always find myself putting down a book of his with a big grin on my face. The copy of The Loved One that I read was a gift from a friend back in Dublin to mark our leaving for Australia. Sadly this edition, published in 1956 and having survived all the years in-between did not last one day with me. The cover was torn off. I feel terrible about that. Dennis Barlow is a failed English poet who has been unsuccessful in breaking into the Hollywood film industry. Fortunately he has managed to befriend Sir Francis Hinsley, chief script-writer for Megalopolitan Pictures and a fellow Englishman. Barlow has even managed to take up residence in the “only knight in Hollywood’s” home, despite the objections of the expatriate community represented by Ambrose Abercrombie. The general feeling is that Barlow in not making a decent stab at success in America is letting the side down quite a bit and making them all look a bit foolish. There is also the sneaking suspicion that he is something of a parasite, having latched himself on to Hinsley. Barlow’s solution is to find work at The Happier Hunting Ground, a pet cemetery. If anything this adds insult to injury, but worse is to come. One day Megalopolitan Pictures summarily dismiss Hinsley after twenty-five years service. Distraught the respected man of letters does the only honourable thing and takes his own life. Abercrombie leaves it to Barlow to make the funeral arrangements, which leads him from his less classy workplace smelling of burnt dog hair to the far more up-market Whispering Glades. Offering a number of religious and non-religious services, the funeral home works according to a number of obscure philosophies designed by its founder Wilbur Kenworthy, the self-described ‘Dreamer’. The dead are referred to exclusively as ‘Loved Ones’, who are greeted after death by the eternally happy ‘Waiting Ones’. Whispering Glades, therefore, are in the business of making the corpses under their care as life-like as possible, so that they will be well-received in this ‘whites only’, paradise. The necropolis itself is divided up into a series of themed graveyards, notable for the ostentatious level of detail. Barlow becomes professionally envious, as he feels his position at The Happier Hunting Ground is tantamount to being ‘lower class’, somehow. He spots an opportunity to attach himself to a beautician at Whispering Glades, the wonderfully named Aimée Thanatogenos. Passing off examples of classical poems as his own work, he begins to woo her, much to the dismay of his rival for her affections, Senior Mortician Mr Joyboy. Barlow’s only worry is that before she agrees to marry him, allowing his stay in Los Angeles to continue, he might run out of poems to plagiarise. This is a wickedly funny book about English class versus American largesse. Waugh’s descriptions of Whistpering Glades are inspired, in particular an island dedicated to W.B. Yeats’ poem The Lake Isle of Innisfree, although they got rid of the bees, so that there would be “no sore fannies and plenty of poetry.” Whereas Abercrombie presents a mask of cheerful bonhomie in the face of America’s overtaking of Britain, Barlow sees his situation in entirely cynical terms. Who has money? How can he get some? Readily exploiting the people in his life, he has decided that if cannot write poetry, he will instead live comfortably. Deliciously wicked and absurd, I loved this book.